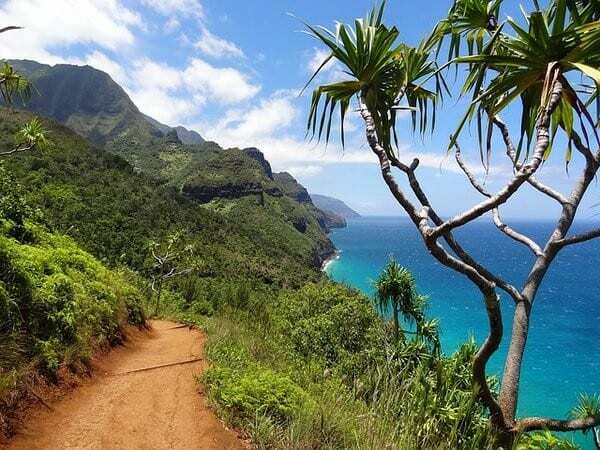 Now that Southwest has begun Hawaii flights, it’s made this little pice of paradise much more accessible to those of us who love to fly Southwest Airlines. If Hawaii is on your dreamlist, we’re about to give you even more reasons to start planning a trip. Here are 13 amazing things to do in Hawaii from the Go to Travel Gal team. We’ve included some of our top picks and divided them based on which island you can enjoy them. Now, picture yourself in a lei with the tropical breeze blowing by and add these things to do in Hawaii to your list! 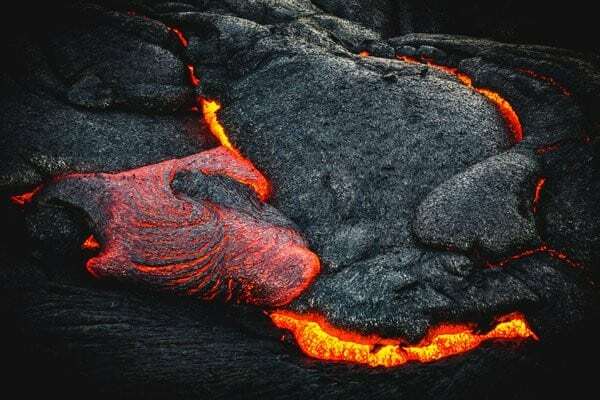 On the southeast side of the big island of Hawaii sits Volcanoes National Park. You won’t believe you’re actually standing on a volcano! Check in at the Kilauea Visitor Center for a park map, Ranger-led activities and safety precautions (roads are sometimes closed for earthquake damage or caldera collapses) before adventuring further. Buckle up and choose one of two driving tours. Crater Rim passes steam vents, has overlooks and a hike to a crater or choose the Chain of Craters Road, which passes craters, lava flow and petroglyphs. Either is sure to be full of things you’ve never seen before on the mainland! For the more adventurous, lace up your hiking boots and get on one of the trails (there are 150 miles of them). These include Kilauea Iki trail, which takes you straight into a crater and across lava flows still steaming from a 1959 eruption. Let’s hope she doesn’t decide to blow again any time soon! Does the idea of a bi-plane ride conjure up images of Snoopy and Woodstock from the old cartoons? It should! 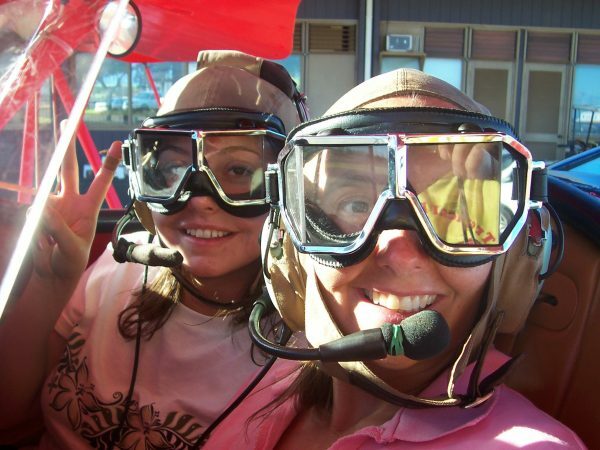 Soon you’ll be donning your own pair of goggles as you and your seatmate climb in to soar in the open air over the beauty of Kauai. Your pilot might even suggest doing a loop-the-loop if you’re up for it, which you won’t soon forget! From your heavenly vantage point, you can see breathtaking scenery in the form of hidden waterfalls, mountains and blue ocean waters bestowed upon this land. The Napali coast will no doubt be a highlight of your trip. An hour’s drive from Lihue Airport off State Highway 550, Waimea Canyon looks strikingly like the Grand Canyon. While not as “grand” as its Southwestern counterpart, this gorge shares the same orange/red hues and dramatic vistas as the Grand Canyon, only complemented by much more greenery. 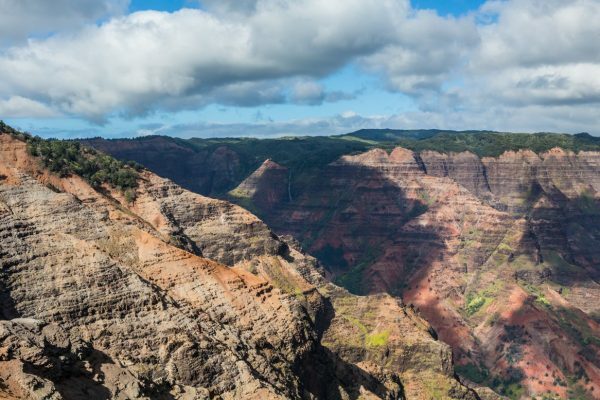 Waimea Canyon offers free admission and is open daily during daylight hours. The 10-mile long, 3600-feet-deep Canyon offers many hiking and picnicking opportunities. Or drive over to two lookouts, the Puu ka Pele and Puu Hinahina, park your car and just take in the majestic sights. 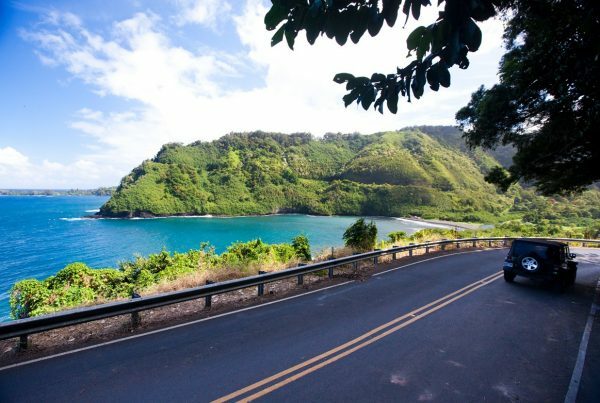 Take a full day and drive the Road to Hana. Start early, because it is a long drive, as well as a long day. Lyn says she remembers doing this drive as a little girl and falling asleep, because it was so long! Bring a change of clothes, towels, snacks, a couple pairs of shoes and be sure to check out a driving app tour on iTunes or Android. These apps talk you through the drive and tell you exactly where to stop and where to skip. Feast on some famous banana bread along the way. Yum! When in Maui, you’re likely to end up in Lahaina. Once the capital of the Kingdom of Hawaii with a storied whaling tradition, Lahaina remains a cultural hub in west Maui. Near the center of town is a fascinating botanical site: the banyan tree. Planted in 1873 to commemorate the 50th anniversary of the first Protestant mission in Lahaina, this single tree looks like a copse of trees until you look closer. The banyan’s huge branches send down aerial roots, which anchor themselves into the soil. These roots look like trunks, and the tree is gigantic. 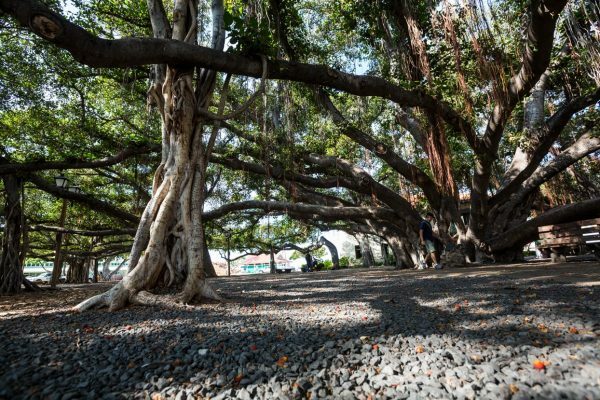 According to Lahainatown.com, it is the largest banyan tree in the U.S.
What started as an 8-foot sapling has grown to reach a height of more than 60 feet with 16 major trunks apart from its main trunk. Its shady, nearly 1/2-acre interior is a perfect spot to relax and escape the heat. Nakalele Point is located on the northernmost part of Maui, about three hours from Hana off HI-340. The ride is beautiful and winding, and the Point is a good place to stop and stretch your legs. Can you see Molokai in the distance? But its most famous attraction is the blowhole. 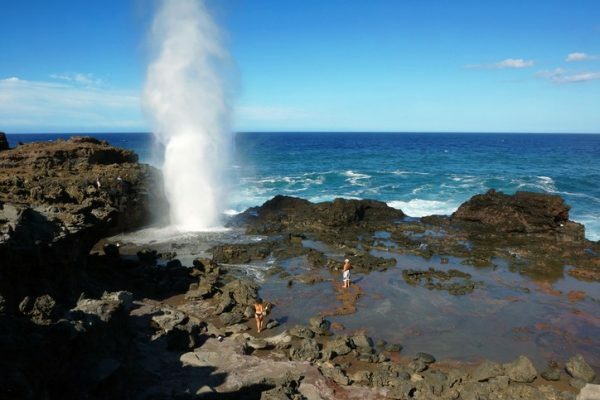 The blowhole erupts sometimes as high as 100 feet, depending on winds and tides. This geyser-like display is impressive from the highway, and while you can trek down to see it up close, be careful. The rocks are jagged and slippery, with many reported accidents as a result. When you think of a Polynesian vacation, what comes to mind? Beaches? Of course. Tropical drinks? Yep. Luaus? Of course! You simply can’t visit Hawaii without attending one (we won’t let you!). In fact, you’ll see advertisements all over to try to get you to come to a particular one. Luaus were started by ancient Hawaiians to celebrate important events. Today, luaus are often held by hotels, resorts and private companies — like Paradise Cove — to give tourists a sense of these celebrations. Paradise Cove offers a number of different luau packages from which to choose, and you get there by boarding one of their buses or driving about 45 minutes from Waikiki. 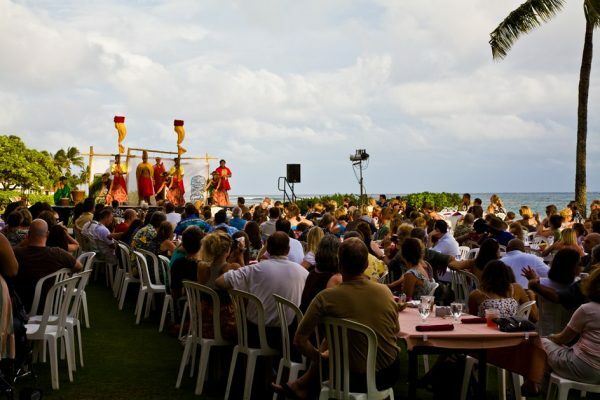 At Paradise Cove, attendees can sip Mai Tais, stroll through a Hawaiian village, and participate in island games. A highlight of the evening is the luau buffet, with the main course the pork prepared in the imu, or underground oven. Visited by millions of tourists each year, Waikiki Beach is a happening spot in Honolulu on Oahu. With Diamond Head looming in the distance, Waikiki’s calm waters are the perfect place to swim, learn to surf or even paddleboard. 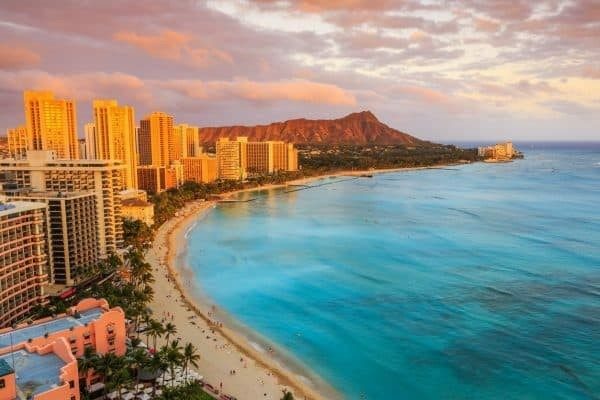 Most of Oahu’s hotels are located either on Waikiki Beach or just a few blocks away, and you’ll also find plenty of shopping, dining and entertainment within steps. Getting tired of the hustle and bustle of busy Waikiki? Manoa Falls is the cure, and it reminds you of what Oahu looked like before development. 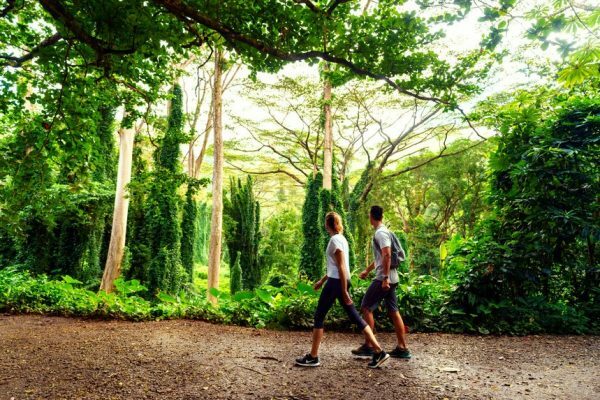 Only 5 miles from Waikiki, this nearly 2-mile trail leads to Manoa Falls, a 150-foot waterfall. Verdant, misty, and, yes, humid, depending on the time of year, the trail has been used in both movies and television to depict jungle settings. The hike is roughly one hour, but what’s the rush? You’re on vacation! Here’s another tip: Have breakfast first at Honolulu’s venerable Eggs ‘n Things, located at 339 Saratoga Road. Indulge in their pancakes, waffles and omelettes, and then work off these calories on your beautiful hike. Diamond Head crater, one of the world’s most distinctive natural landmarks, was formed 300,000 years ago after a single catastrophic explosion. In 1915, bunkers and gun emplacements were built into Diamond Head as part of the island’s defense system. To hike to the top (elevation 761 feet), go to the Visitor’s Center first. It has the only bathrooms and refreshments on the trail. 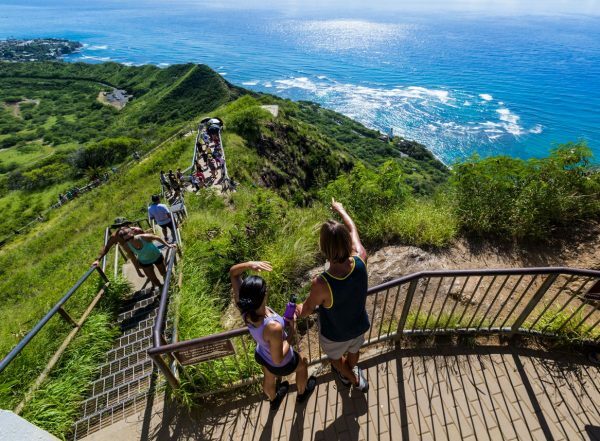 Your hike will lead you to a lookout point (perfect for pictures/selfies), a tunnel, a stairway with 99 steps (whew!) and then through a spiral staircase and into the bunkers. This is a medium/difficult hike that is 1.6 miles roundtrip and will take about two hours, so take plenty of water and bring comfortable shoes. The trail is open 365 days a year from 6:00 a.m. to 6:00 p.m.; entrance fees are $1 per person or $5 per car. There is limited parking, so consider taking your hike during the non-prime time hours between 1:00 p.m. and 4:30 p.m. You can also take a taxi or the No. 2 or 23 buses from Waikiki. 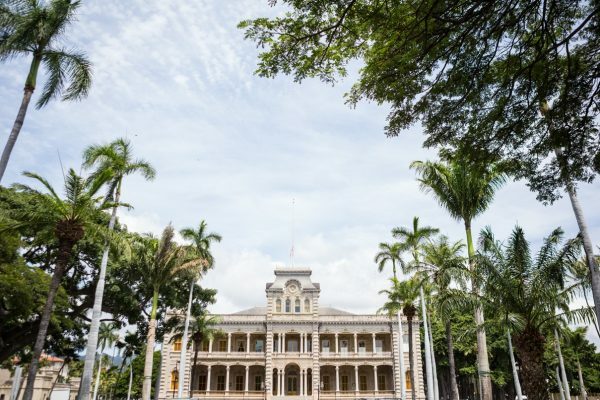 The only royal palace on U.S. soil, Iolani Palace, built in 1879 in a style called American Florentine, has a storied history. Once the royal residence for the rulers of Hawaii until the monarchy was overthrown in 1893, the building later served as the state capitol until 1969. Thereafter, it was restored and turned into a museum. It is now a National Historic Landmark and gives visitors a glimpse into the opulent setting once enjoyed by Hawaiian royalty. Probably the best known export from Hawaii is pineapples, and Dole is probably the most famous brand. At the Dole Plantation, you can see a demonstration of how to properly cut a pineapple (it’s so much easier when you know how! ), how to cut the acidity and how to season it with Li Hing (plum) powder. The maze is sure to please young and old alike, and the Pineapple Express Train tour teaches you the history of the pineapple and shows you where it’s grown. 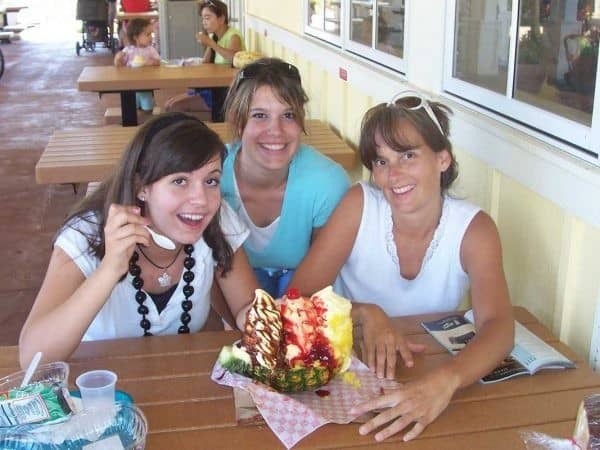 After you’re done with all of your explorations, DO NOT MISS their world-famous DoleWhip (anyone had it at Disney World? It’s a hit there, too!) or splurge and get their Pineapple Split. It’s to die for!! Visit this solemn place to pay your respects to the 2,335 military personnel who lost their lives here on December 7, 1941. Described by President Franklin Delano Roosevelt as “a date which will live in infamy,” it plunged the U.S. into World War II. You can learn an abundance of history at this monument, while exploring the visitor’s center and the five museums and memorials. 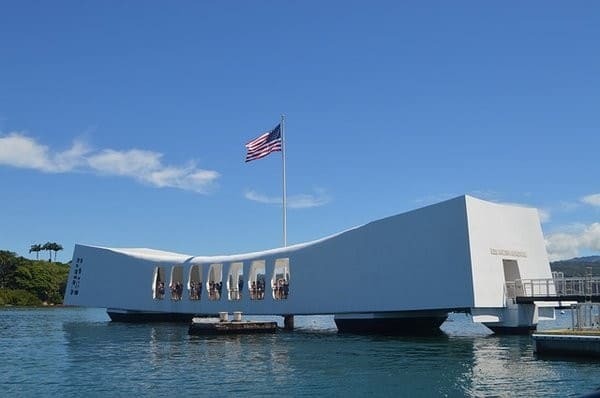 Make your reservations well ahead, whether for tickets (free, but only 4,500 per day) or an authorized tour, as Pearl Harbor is Hawaii’s most visited tourist site with 2 million visitors per year. What attractions and sites are tops on your list of things to do in Hawaii? What did we miss? Share in the comments!